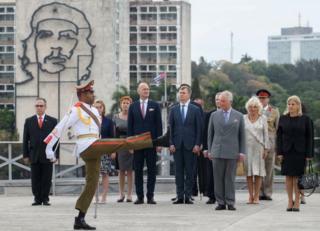 The Prince of Wales and the Duchess of Cornwall have made history by becoming the first members of the Royal Family to visit Cuba in an official capacity. The couple landed in Havana on Sunday. Here are a few highlights from the three-day visit. 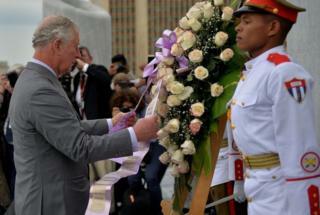 Image caption Shortly after arriving, Prince Charles and the Duchess of Cornwall attended a wreath-laying ceremony at the Jose Marti Memorial. 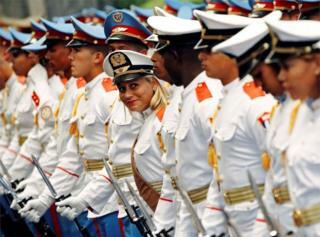 Image caption A wreath was laid for Cuba's national hero, the poet Jose Marti. 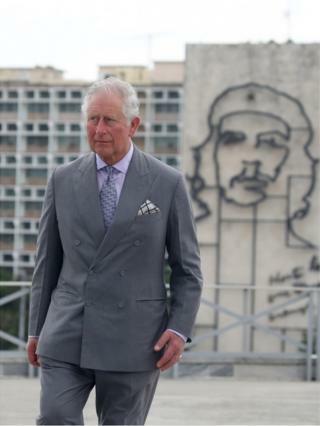 Image caption Prince Charles and Camilla were greeted on Havana's Revolution Square near an image of the revolutionary hero Ernesto "Che" Guevara. Image caption An honour guard smiles before the welcome ceremony for the royal couple. 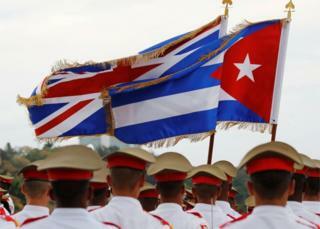 Image caption The national flag of Cuba was paraded alongside Britain's Union Flag. Image caption Prince Charles and Camilla met young dancers during a visit to the Acosta Dance Company in Havana. Image caption The royal couple watched a number of performances during their visit. 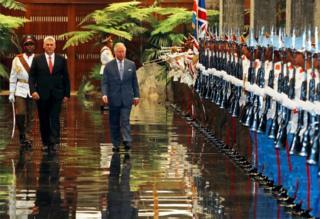 Image caption Prince Charles attended a welcome ceremony at the Palacio de la Revolucion with Cuba's President Miguel Diaz-Canel. 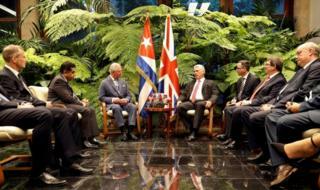 Image caption President Miguel Diaz-Canel held talks with Prince Charles at the Palacio de la Revolucion, seat of the government in Havana. 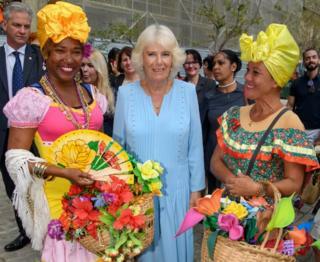 Image caption Camilla, Duchess of Cornwall, with women in traditional Cuban clothing during a tour of Old Havana. 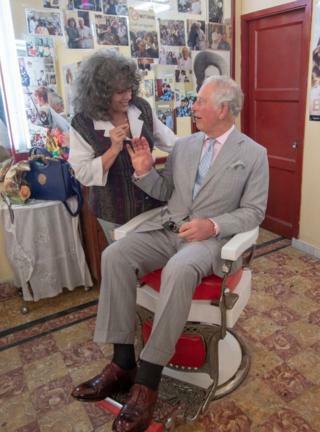 Image caption Prince Charles visited a barber shop. The owner Josephine Nandes asked if he wanted a trim, but he politely declined. 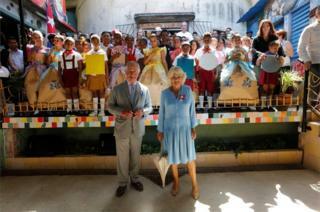 Image caption The royal couple visited children at the Muraleando community project, in Havana.